 "Growing Together" - we provide a balance of experiences in the education of preschool children. At CCP the whole child will be supported in the classroom as they grow cognitively, physically, emotionally, and mentally. At Canby Community Preschool our philosophy is to nurture a child’s individuality and innate curiosities while instilling the desire to be a lifelong, inquisitive learner inspired by the world around them. It is our goal that every child will find that learning is an exciting and enriching adventure. We believe children learn best through direct interaction, also referred to as "hands on play", while exploring their surroundings. Children need time to play, problem-solve, observe, predict, explore and create to begin to construct an understanding of school, community and the world they live in. We celebrate and accept that every child is a unique individual. At CCP we believe what truly makes a difference in a child’s life, beneath all the methods, materials and the curriculum is a teacher who cares about each child and who teaches from the heart.